That’s right… You can make a difference! You can help local abused and neglected children by donating to Golfing for Kids. 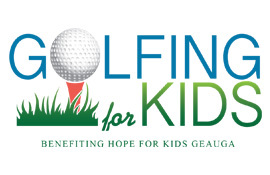 This 18-hole scramble on August 5th at Chagrin Valley Country Club will raise funds for Hope for Kids Geauga. Golf entry includes 18-holes of award-winning golf in scramble format, cart, tournament favor, buffet lunch, dinner and silent auction. Chagrin Valley Country Club, a Stanley Thompson Championship golf course, is located at 4700 SOM Center Road in Chagrin Falls.